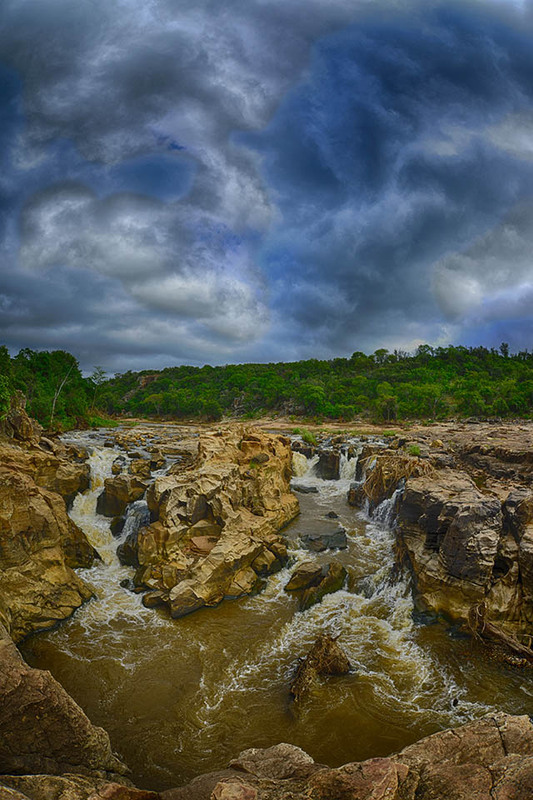 Mutale Falls Camp forms part of the African Ivory Route and is situated in the rugged but beautiful Makuya Park in the far northern Limpopo province near Pafuri in the Kruger National Park. 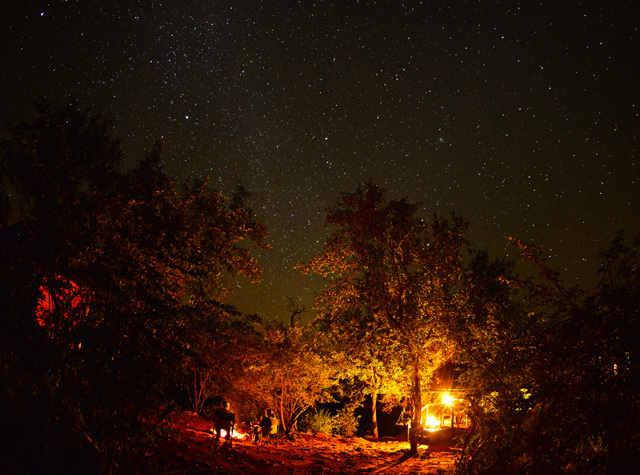 The camp is beautifully perched on the edge of a high ridge with a fantastic view overlooking the Mutale River. 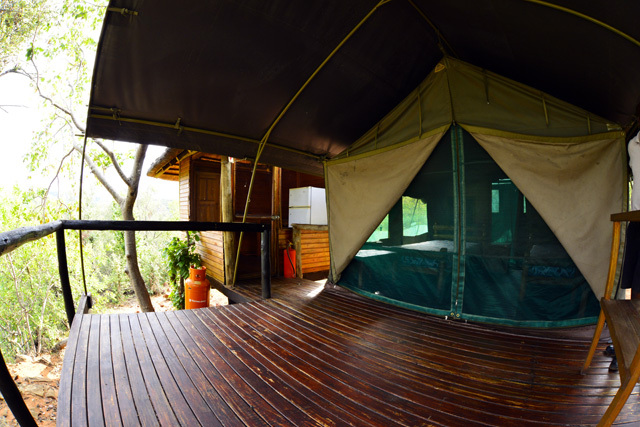 This rustic tented camp is the perfect place to relax or unwind in peace and quiet. 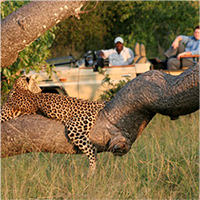 The camp is only accessible by a high clearance 4 X 4 because at the moment the roads are bad, but well worth a visit. There is talk of guests being collected from the main gate and being brought to the camp, but we are not sure if or when that will happen. It will give you a choice of whether to leave your car at the main gate or self-drive to the camp. 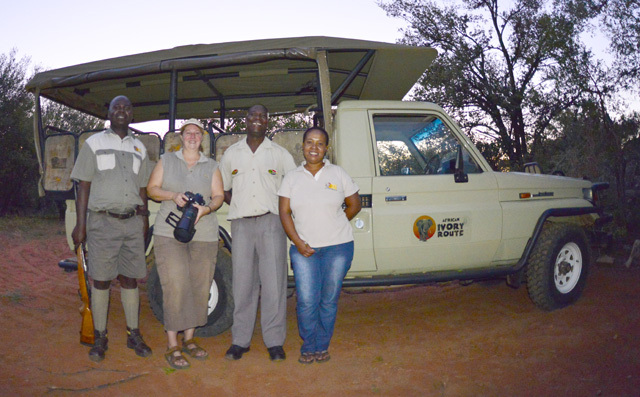 When we arrived we were warmly welcomed by the camp staff; Edwin, Thamba, Nelson and Susanne. They guided us down the rocky driveway to the tents and communal area. The central area has a large communal kitchen and dining deck with large table and chairs and a beautiful view over the river. The kitchen is fully equipped with crockery, cutlery and pots. 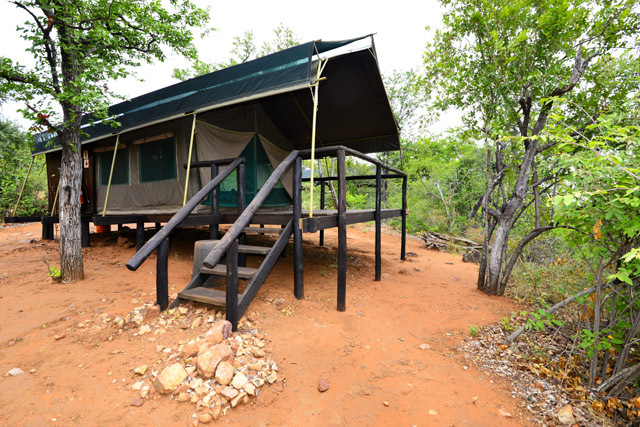 It also has a gas stove, fridge and freezer, the camp does not have electricity, but paraffin lanterns are provided. 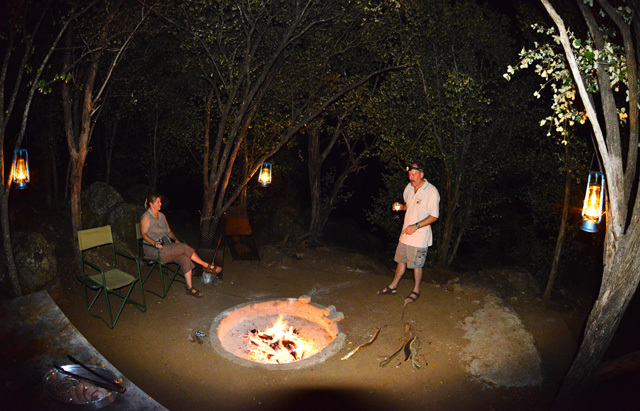 The braaing area is up a short gravel path to the left of the main area with a large fire pit and table. 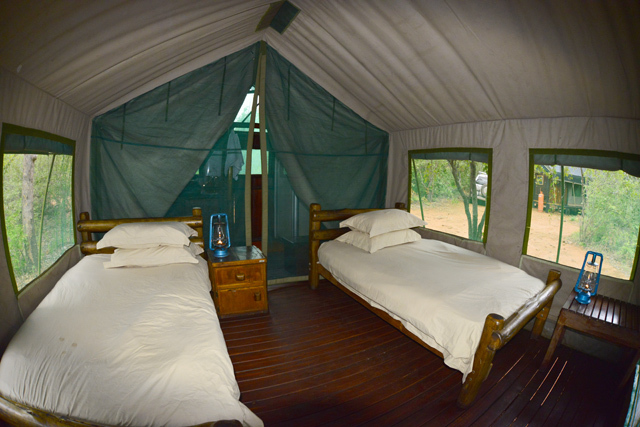 Mutale Falls Camp has five tents which are on the right of the communal area - they all have large wooden decks, with a table and two chairs and each tent has two ¾ beds, en-suite shower and toilet, all the linen and bedding is supplied. Tents 4 and 5 both have their own kitchens on the side of the tents but share a fire pit for braaing, while tents 1 to 3 have full use of the communal area. We went on walk to the falls and wow, what a lovely place! 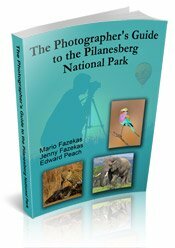 All you hear is the rushing of water over the falls and on our walk down we saw two leopard tortoises and a klipspringer. 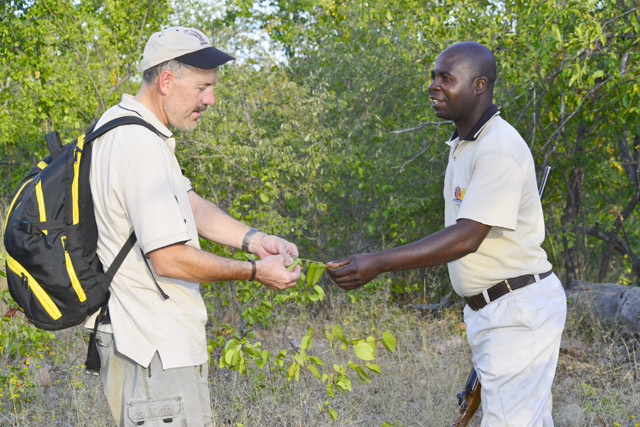 The camp offers game drives into Kruger and birding safaris to Pafuri and this is where Edwin will help you identify birds because he is a bird specialist. We saw many birds in our short visit - Redwing Starlings, Redbilled Buffalo Weavers, Bateleurs, tawny eagles and more. 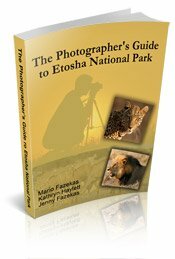 Another option is for you to take a drive to Worlds View or around Makuya Park. 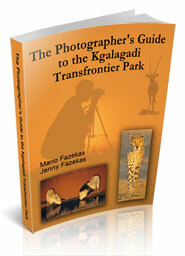 This is a Big 5 park because it borders the Kruger National Park and the fences have been dropped. We saw lots of elephant footprints in the river bed and Edwin said they often come down to the river for a drink. 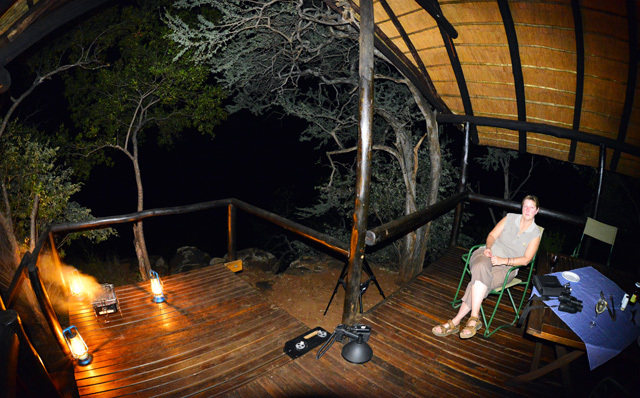 Vervet monkeys and Baboons walk round camp so keep your food stuff locked away! A Vervet monkey got into our car and stole our sweets and chips, what a mess. Mario had only left the window open a little bit but that was enough for this little critter to get in. 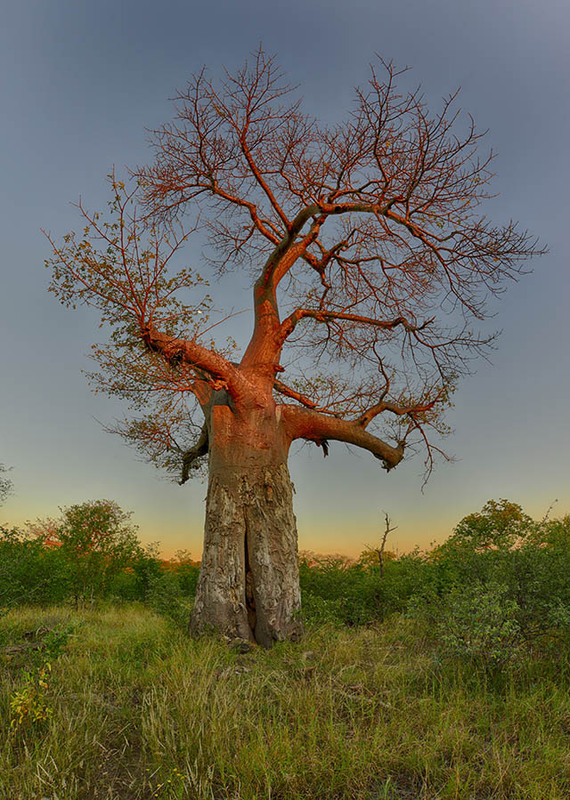 We also discovered a tree we had been searching for in the Kruger Park and here they were right under our noses! 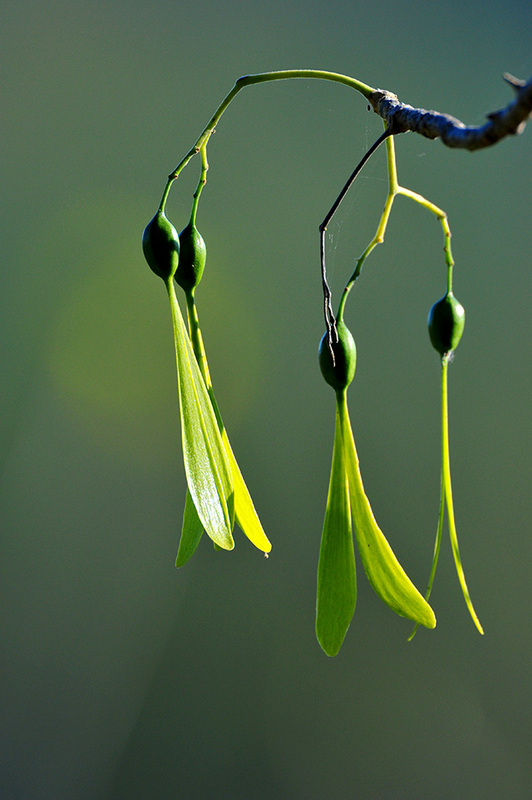 It’s a propeller tree - the pods look like propellors and drift down from the trees, rotating just like a propeller. 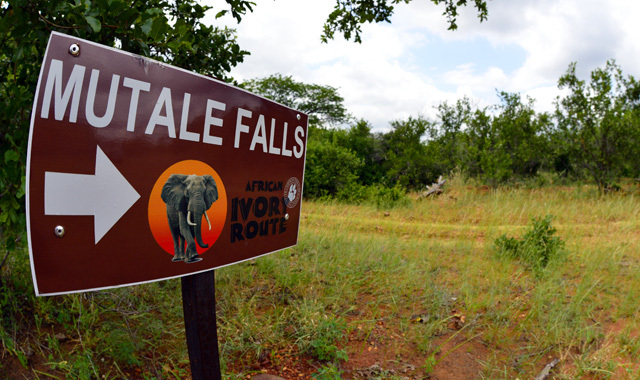 For more information on Mutale Falls Camp or to make your reservation, please click here.